Here we have a V36 Skyline 350GT. 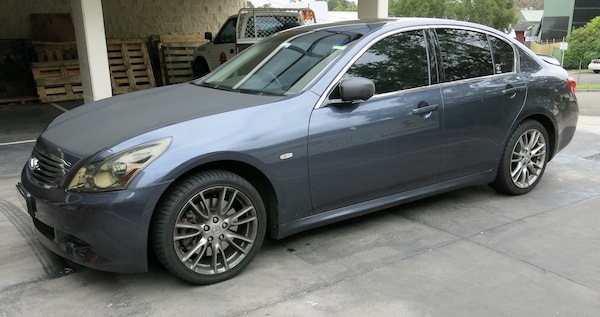 Unlike most of our customers, the owner of this car wanted it at standard ride height. 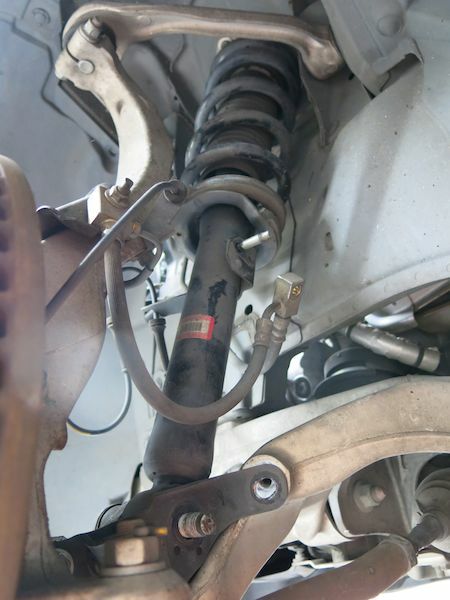 We started with the rears, Like most Nissan imports from V35 on there is a separate shock and spring set-up. 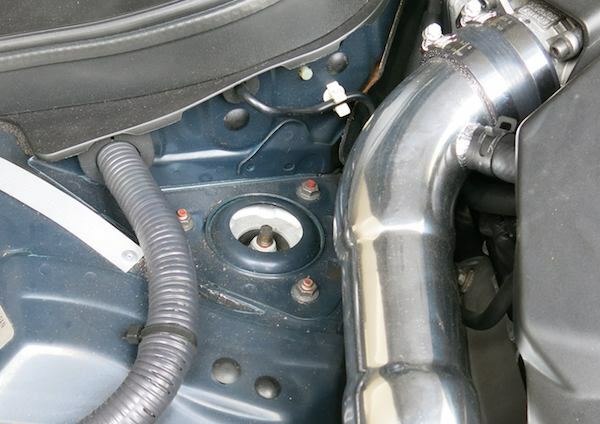 The shock is held in place by two nuts which are accessed from the wheel well, so no removing boot trim or back seats. Definitely a plus. 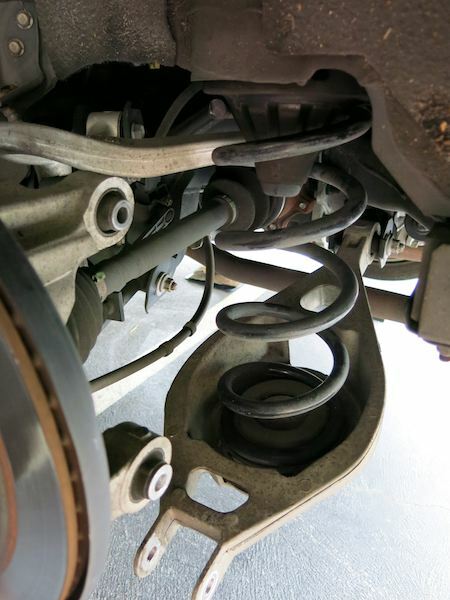 The shock is easy to unbolt. To remove the spring you just remove the outer bolt on the lower arm. The HSD adjustable spring seat goes a the top, sitting over the original rubber. The flat end of the spring goes on the adjustable seat and the other end sits in the original lower rubber. 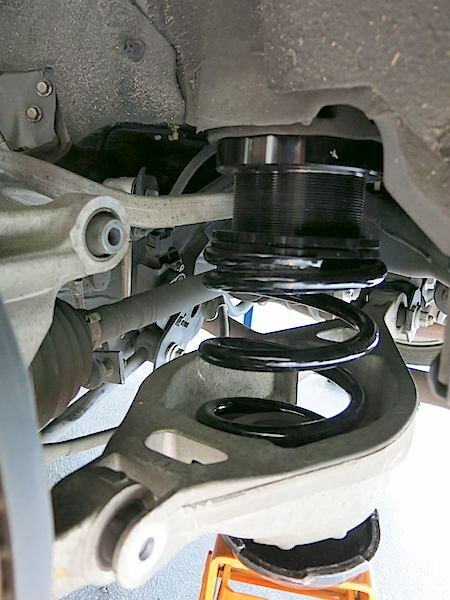 With the spring seat adusted to 25mm from the end of the thread the car sits at the standard height. Use a jack to raise the hub, after you have raised it to keep the spring captive, go another 10mm and adjust the HSD shock length to suit this. This will keep the spring captive even afer any settling. Remove the brake line (held by a nut) and the ABS sensor wire (pops out) then remove the nut from the lower bolt, which is also the bolt for the swaybar. 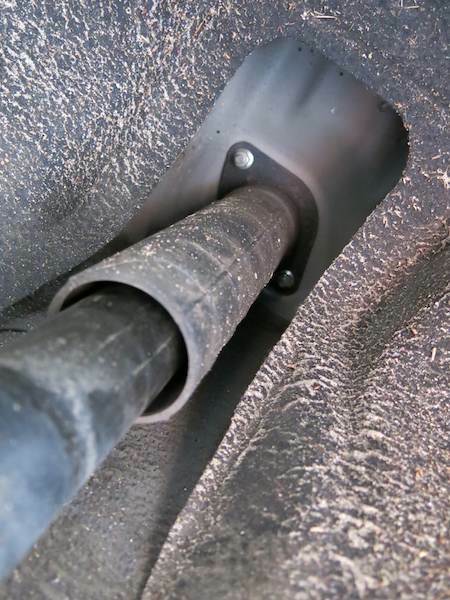 It is easier to get the spring/shock unit out if you also remove the steel mounting plate, held in by three 14mm bolts. 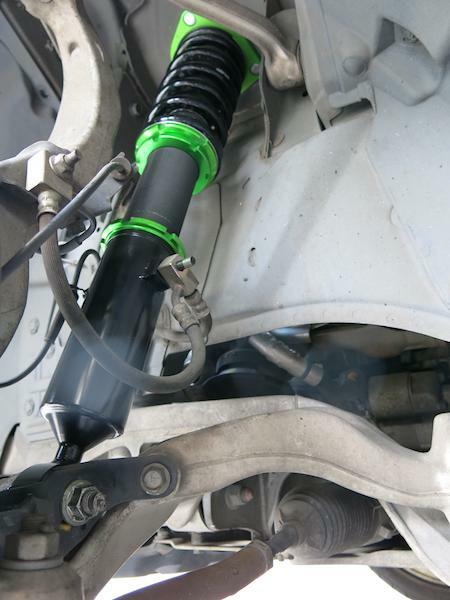 If you set the lower mounting bracket of the HSD coilover with 50mm of thread inside the bracket, you will get the standard ride height. To lower the car just loosen the lock nut and screw more of the damper thread into the bracket. 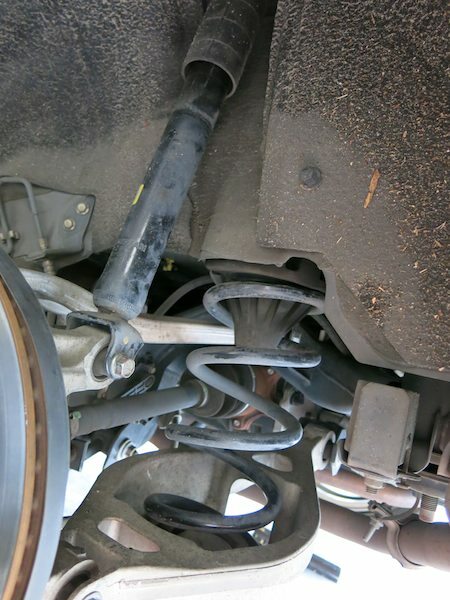 There are provisions for the brake line and ABS lines like on the standard unit. Make sure all the nuts and bolts are tight again before refitting the wheels. So that's it. Whole job takes 3-4 hours. Maybe more if you spend more time adjusting the hieght. Remember if the car is lowered you will need to get a wheel alignment, but in this case it was not necessary.